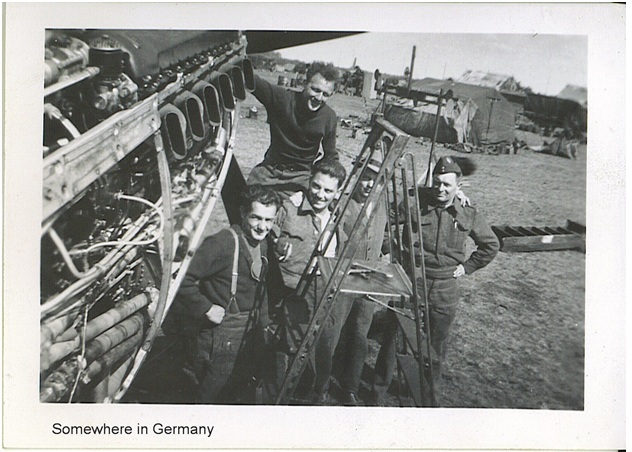 Here are some more pictures from my father, George White’s collection, taken in Germany during the war. The truck appears to be a Tempo E 200 truck flatbed, probably manufactured in the mid to late 1930s. Here’s some more information on Vidal & Sohn Tempo-Werk. 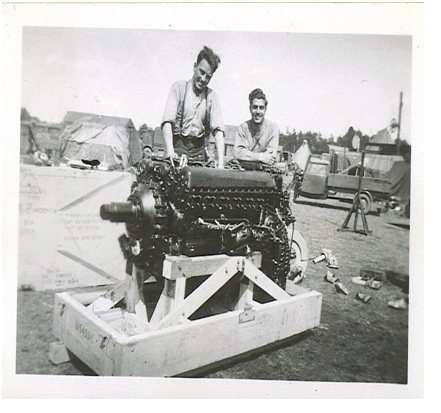 It’s only got a capacity of 750kg – I don’t think it could carry the Merlin engine! This film was taken when Bf-109 ace Franz Stigler met American B-17 pilot Charlie Brown for the first time since their encounter during World War II! The true story of Franz and Charlie is now available in the New York Times best-selling book, “A Higher Call,” available nationwide! Franz Stigler started flying gliders at age 12 and soloed in a bi-plane in 1933. He joined Lufthansa, becoming an Airline Captain, before joining the Luftwaffe in 1940. 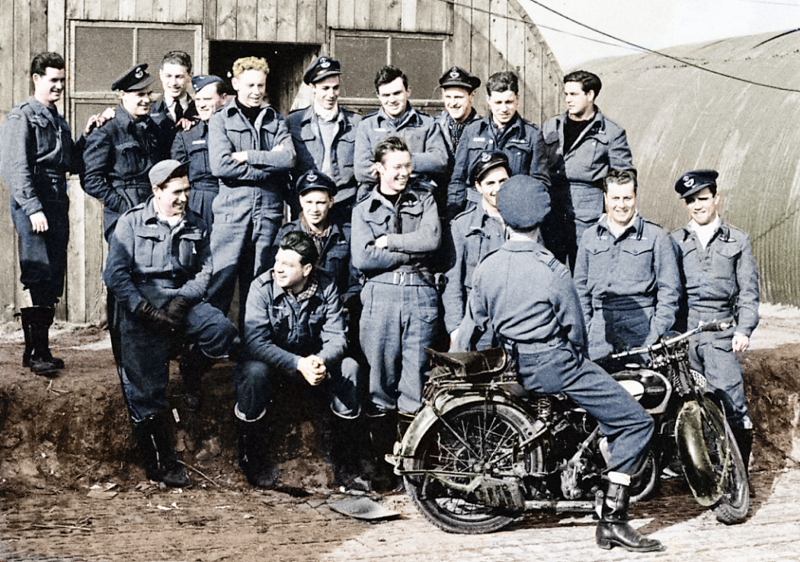 There, he became an instructor pilot, with one of his students being Gerhard Barkhorn, who would later become the second highest scoring Ace in history with over 300 victories. 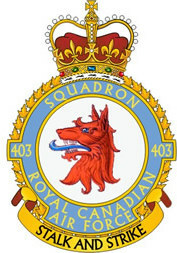 Mike wrote me yesterday about some links I had posted on the blog about RCAF 403 Squadron. It came as a surprise to me to find that the ME 262 is back in production. As much as I like the Corsair and the B29 links, the ME 262 Project is much more relevant to your 403 Blog. After all, 403’s Spitfire bagged a few of these bad boys. I offered him this explanation. I told Mike that the B-29 link came from the son of Peter Lecoq who was a pilot with the 403, and that the Corsair link came from another blog about someone who befriended a war veteran who was a mechanic in the Pacific. I thought you guys would like to see a short video of the only flyable B-29 in the world. Notice the flight engineer is still wearing his “Confederate” Air Force patch. To our friends who may not understand the passion we feel for planes and particularly planes from WW11, this is Fifi. It is the only flying B-29 Stratofortress in the world. This is one of the combat airplanes that flew from Iwo Jima, Saipan, Tinian islands to bomb Japan and help win the war. It was usually escorted by P-51 Mustangs to protect her from enemy fighters but many thousands of planes and aircrews were lost fighting for our country. This happened at a time in history before we had long range missiles and electronics. These planes were flown by men from our farms and cities who left their families at home and risked their lives in high altitude gun fights. It was up close, brutal and extremely dangerous but they risked it all to protect our country. Many never came home again. We love, respect and honor all of our veterans. But we also have a love affair with the planes. It is a permanent addiction for us so we preserve these wonderful aircraft so you can see and experience the marvelous machines that preserved our freedom. If you get a chance to see her at an air show, don’t pass up the chance. You are watching history and she is the only one left out of thousands. This is truly a rare aircraft. Peter likes to send me links about aviation in his e-mails. Prepare to get reeled in. It is just not possible to stop looking at these sites. Even if you are not into this you might want to pass this treasure trove on to others. 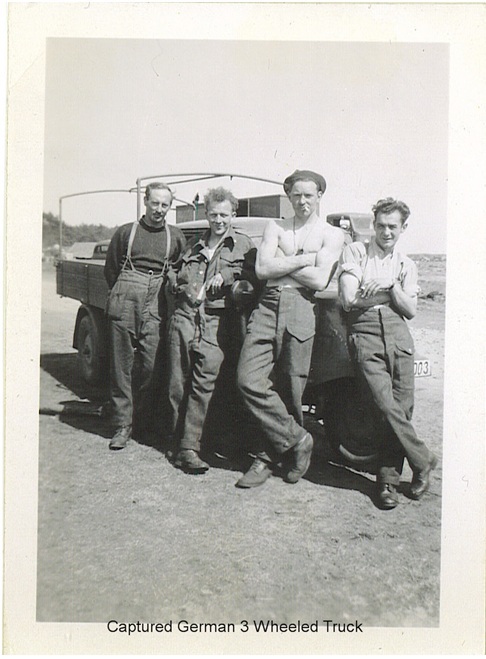 Jack was a mechanic in the Pacific. “She’s the most beautiful thing I had ever seen,” said Old Man Jack in a trembling voice and with very wet eyes. On March 3, 2003. Truly. He was referring to the F4U Corsair. I had taken him to the Chino Planes of Fame Museum in Chino, CA. The WWII aircraft there – all of them – fly. That’s right. They get up in the air. Planes that were engineered with a minimal lifespan as they were meant for combat were still spinning their props for the men who flew them – or worked on them. Old Man Jack was one of them.